In What Case Do I Need To Refinance My Mortgage? In cases when the rates are lowered, of course! Nevertheless, though, there is a bit more to the process. Seeing how the rates seriously dropped in recent times, it is only natural that you will be thinking about refinancing. 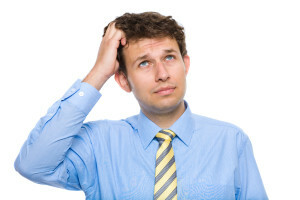 Yet, is refinancing the answer to all of your problems? A lot of property owners actually pick the refinancing option to save more money, yet in the end it could lead to entirely unexpected results. Regardless of whether you want to lower your monthly payment or pay off your mortgage even sooner, you need to consider some important factors in order to make an informed decision that will benefit you in the end. And who will help you with all that? Well, if you are interested in locating the right individual who can help you refinance, your very best option would be to find a mortgage lender. As their extensive knowledge of mortgage programs is genuinely substantial, they will have the skills and the expertise to help you find the ideal program and will make sure that you are making financially lucrative decisions to begin with. A good mortgage lender will have what it takes to assess the financial situation you are in and will establish whether refinancing will make more sense in your case. They will end your confusion and will provide you with all the information you may require during the process. Shorten the term of your loan – you will be able to refinance for a shorter term loan. For instance, you will be able to actually switch from a 20-year one to the 10-year one, if you like. Converting between the adjustable and fixed rate mortgage. You will be able to switch to yet another program – one with a stable rate or an interchangeable one. Tapping into the equity of your property. You will be able to use the equity that you have built into your property to finance yet another big purchase. 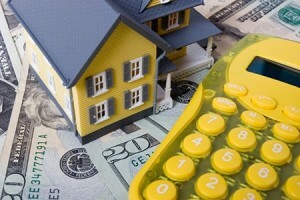 The Home Affordable Refinance Program (HARP) may help you refinance if you are eligible for it. If you qualify, you will be able to refinance a loan from 105% to as much as 125% of the overall value of the house. However, there is always a catch – you will need to be on your way to foreclosing and if you had any delinquent payments within the last 12 months, you are going to be disqualified. In addition, Freddie Mac or Fannie Mae will need to own the loan. If you are pretty much out of any additional options, this may well be the ideal program for you. Well, perhaps things are even worse than you initially considered they are. Along with an underwater mortgage, you have also managed to miss payments. Thankfully, there is a way for you to qualify for the HAMP (which is the federal Home Affordable Modification Program) and it will be available to you via your mortgage lender. Once more, the mortgage will need to be owned by Fannie Mae, Freddie Mac or any other party signed up with the U.S. Treasury in order for you to meet the qualification criteria. Despite the fact that it really is not a refinancing program, it may still lower the mortgage payments, but your best bet will be bringing it up with your trusted lender in order to verify if it is a good idea for you to begin with. If you choose to resort to refinancing your mortgage, our experienced Los Angeles mortgage broker company will assist you in every step of the way. There is a one sure way to avoid paying for private mortgage insurance when buying a house – putting at least 20% down. But what if you can’t? Let’s start form the basics and work our way to answering this question. 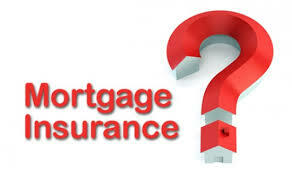 PMI is designed to protect lender in case you become unable to make your mortgage payments. It exists because, typically, if the borrower defaults the home is sold at auction, which means it can sell at least 20% less than its true value due to damage or neglect. Thus, PMI offsets the risk of borrower defaulting. PMI is offered by privet insurance companies, hence the name, as oppose to government issued insurance which covers FHA loans. Furthermore, PMI will end once the homeowner’s equity reaches 20% of loan amount. In comparison, the FHA MIP can only be cancelled if the property is refinanced. PMI, same as any other insurance, is based on your particular risk to the bank. In other words, the lower your down payment, the higher your PMI costs. Typically, annual prices for PMI vary from 0.3% to 1.15% of your loan amount. Your exact rate is calculated depending on your credit score, equity and loan term. When and how can you cancel PMI? In general, you can cancel your PMI once the principal balance of your loan drops to 80% of original appraisal, or current market value. However, a few restrictions may apply depending on your provider, for example, showing history of timely payments or absence of second mortgage. How can you avoid PMI other than making 20% down payment? If you do not have a 20% down payment and not an eligible military borrower, who can apply for VA loan, you can still avoid PMI. Most of the lenders offer Lender-Paid PMI, which is basically same thing except the lender pays it on your behalf. In this case, you will be requested to accept a 0.75% rate increase. However, we strongly encourage you to discuss this option with your lender, because LPMI could not be cancelled like PMI can. There is another option you may consider in order to avoid PMI. The, so called, “piggyback” financing. This option, however, will require a 10% down payment. Simply put, the piggyback financing is when you take two mortgages. The first mortgage is a loan on your home and the second to cover additional 10% for the down payment. Such structure is often referred to as 80/10/10, in which 80% is your home loan, 10% second mortgage and 10% down payment. So, to conclude and answer our original question, yes, there are ways to avoid PMI. However, we recommend not to make this decision on your own but rather consult with your broker. Regardless of whether you are applying for a new mortgage or refinancing you existing Los Angeles home, the lender wants to be sure that you can afford it. In order to determine that the lender will evaluate your debt to income ration, or DTI. A high debt to income ratio could make getting approved for a new loan quite a challenge. However, there is a way to manage the situation and make the numbers work. Remember, lenders value low DTI, not high income. First, let’s clarify what is DTI and how it is calculated. What would be considered as debt in calculating DTI? Thus, your debt to income ratio is 30%. What if you have a high DTI? The above example shows desirable DTI, however, a higher DTI is acceptable. In fact, lenders might consider a 44% DTI, assuming a perfect credit record and other variables. But what if your DTI is higher than 44%? Look in to more forgiving loan programs. For instance, Fannie Mae sets a maximum DTI at 35% for those with lower credit scores and smaller down payments and at 44% for those with better credit record and higher down payment. In comparison, FHA loans allow a DTI as high as 50% with a credit score as low as 600. In addition, FHA loans do not require a high down payment. Restructure your debts. There are a few ways to twig your debt, for instance, you can refinance you student loan. Extending, or spreading out, if you will, your student loan over a longer term will help you bring your payments down which will, in turn, lower your overall monthly liabilities and consequently your DTI. Your credit card debt can be reduced as well through transferring your balance to a new account with a 0% introductory rate. Pay down, or pay off your accounts. Cash-out refinance. You can lower or eliminate your debt by taking cash out. These are just a few ways to get approved with a higher DTI. To learn more, please contact our professional Los Angeles broker at (818) 309-2999 or use online contact form. Will 15-year mortgage work for me? This question seems rather popular this days. With the rate drop over the last few month the interest towards the shorter term mortgages has grown in proportion. Of course, there are quite a few advantages to the 15-year term, however, at the same time, there are a few things to consider. Well, let’s take a look at the differences between a 15 and 30-year terms. As we mentioned above, there are a few advantages to the 15- year term. First goes without saying, the 15 year term is just a half of the 30 year term. However, it is important to keep in mind that since the loan is not as “stretched out” your monthly dues will be higher. Yes, having a higher monthly payment might be scary, but let’s look at the bigger picture. The rates for 15 year term go as low as 2.75%, whereas, a 30 year term would rarely go lower than 3.5%. Which means, that less mortgage interest will be accrued each month. In other words, if we combine a shorter term with lower interest we get a homeowner who was able to save hundreds of thousands of dollars. This scenario looks appealing, isn’t it? Well, here’s another advantage of a 15 year term – the 15 year fixed rate mortgage is designed to aggressively pay down your principal. To compare, at today’s rates with 15 year fixed rate mortgage the first payment is 66% principal and 34% interest, whereas, with 30 year fixed mortgage only 35% goes towards your principal. In addition, with the 30 year fixed rate mortgage your payments do not include the same principal to interest ration until your loan reaches 18 years. Let’s get back to original question: will 15-year mortgage work for you? Before we can answer this question, there are a few things to take into consideration. Yes, the 15-year term mortgage can provide a sizable long-term savings in comparison with longer term loans. However, this term does not fit everyone. As mentioned above, your monthly premiums will be higher with the 15 year term, which can be a budget-breaker for some households. The same reason, could make it harder to qualify for such loan because of the debt-to-income ratio required by the lender. So, talk to your broker to determine if 15 year term would be a good move for you. We are proud to announce a publication of an exclusive interview with our leading professional Alex Shekhtman. 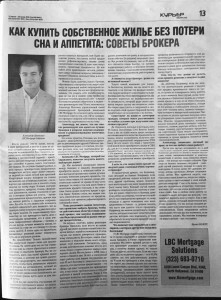 Last week a local Russian news paper "Kurier" has published a new how-to guide dedicated to helping home buyers. This guide will also have information useful to anybody who is interested in refinancing their existing loan. This article from LBC Mortgage Solutions contains precise and detailed steps and instructions, designed to be used by people interested in lowering their existing rate by refinancing loan and others who are interested in buying a new house, helping them go through a loan application process, as quickly, easily and with as little stress as possible. Alex Shekhtman states that this accessible, easy to follow guide provides all of the information necessary to fully understand the topic, to get the results they want. Believe it or not, but getting a mortgage approval is not as hard for the majority as keeping it. There are a few bumps in the road, so to speak, that you should avoid. The entire process of closing a loan takes about 45 days, give or take, in today’s market and during this time any and all events may affect your loan. For instance, losing you job or becoming ill will greatly affect your mortgage loan approval. During this time the lender has a right to revoke your mortgage approval. Of course, such life changing events are not easy, if not, at times, impossible, to control. However, there are a few things you can keep in check. With that in mind, here is a list of things you should avoid doing between the date of the application and date of funding. Each one of these items could instigate a revocation of your approval. You should refrain from career changes, such as leaving your current job to change industries or start your own company. This also includes switching from salary to commission paid job. Buying or leasing a new more expensive car might not be a great idea either. Of course, if you lease is about to expire you would have to renew it. However, you should definitely consult with your loan officer first. Transferring large sums of money between accounts should be avoided. Pay your bills on time, this one goes without saying. Avoid opening new credit cards, even if they offer great condition. Remember, any new inquiry on your credit report will have to be explained to the lender. Refrain from random undocumented deposits to your accounts. This includes cash gifts without proper paperwork. Undocumented cash deposits will provoke the lender to disallow the gift and revoke you loan. Of course, these are just a few things we came up with. Surely, there is more. It is our mission to help you through this complicated process and successfully fund your loan. Find more information on our Los Angeles mortgage broker website.